Writing is a tool for thinking, expression and encouraging creativity and can be an incredibly useful outlet to clear your mind. Writing helps you stockpile ideas and recover memories. Warren Buffett has described writing as a key way of refining his thoughts while Richard Branson once said that his most essential possession was a standard-sized school notebook, which he used for regular writing. At Anand Prakash, we have a vast and creative assortment of notebooks, journals and stationery to help put your words to paper. You can choose from luxurious silk bound journals to the more earthy khadi bound ones; with over fifty different ranges, you will be spoilt for choice. 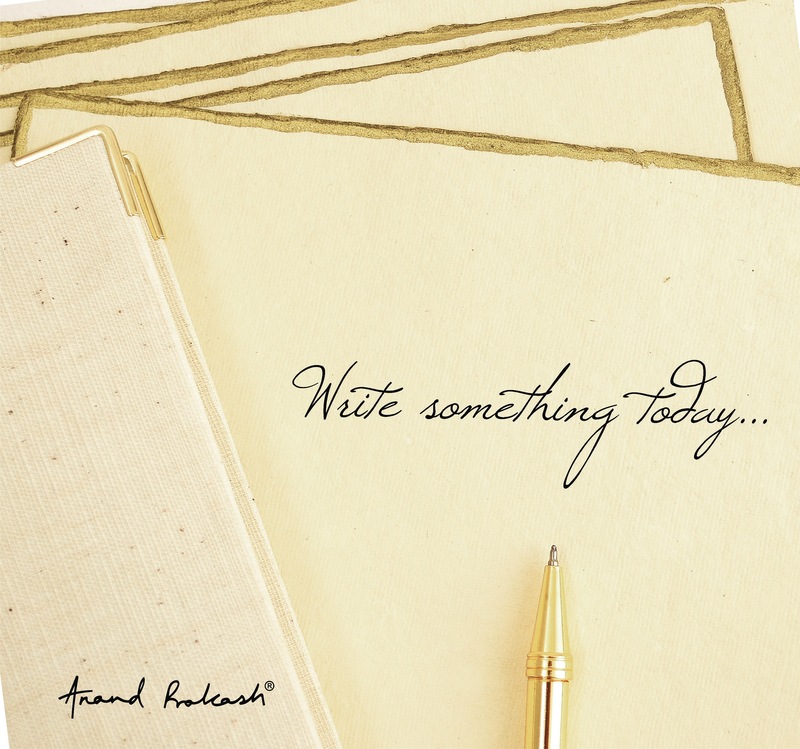 So here’s wishing you happy writing! This entry was posted in Whats New and tagged anandprakash, journals, joyofwriting, notebook, stationery, writing, writingpaper. Bookmark the permalink.